Creating global projects got me thinking about the groundwork that should be covered before the connections with strangers can become a viable means to exploring global perspective. Finding global projects to explore the world through experiences that spark curiosity and intercultural opportunities is not difficult. The challenging part is building inter and intrapersonal skills beforehand; the skills to ensure mutual kindness, empathy, and deep learning. If trust and respect are not formed, collaborations are destined to be somewhat superficial and shallow attempts to build global competency. This requires considered preparation. I found a website that is designed to foster meaningful connections among students, by doing just that-attending to the soft skills that are essential for successful global collaboration. As a Mexican immigrant and the son of a Holocaust survivor, KIND Healthy Snacks founder and CEO Daniel Lubetzky, has always considered diversity, inclusion, and empathy to be vitally important character traits. 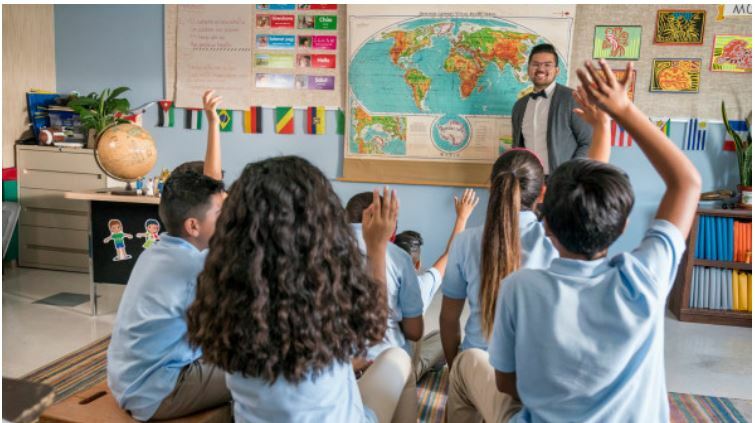 His solution, which launched in October 2017, is a free video-conferencing and digital learning platform, with interactive lesson plans designed to connect students around the globe, to build empathy between different people and different cultures. Empatico empowers teachers and students to explore the world through experiences that spark curiosity, kindness and empathy, fostering meaningful connections among students, ages 7-11. Empatico, Kind Foundation, was a winner in the 2018 World Changing Ideas Awards. World Changing Ideas celebrates businesses, policies, and nonprofits that are poised help shift society to a more sustainable and more equitable future. Here is an example from Empatico, of character trait building, that will lead to meaningful global projects between students around the world. Watch Ms Chism introduce concrete strategies for getting students to engage in respectful talk. How does Ms Chism use accountable talk stems? Try these strategies with an ACCOUNTABLE TALK card on each table. I have a different idea to that.